Extra Large 11" x 16" (28cm x 41cm) A new twist to the traditional cabbage rose lace pattern. Roses, leaves, and flowers on a delicate lace ground create a stunning effect. Use lace on cookie windows, too! 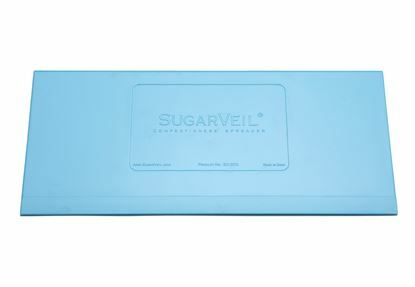 The reverse side of the mat is for smoothing a thin layer of SugarVeil Icing to produce matte-finish SugarVeil bows and 'fabric'. Dual sided, precision-engineered, intricately detailed mat made of the highest quality silicone available, FDA certified food grade.